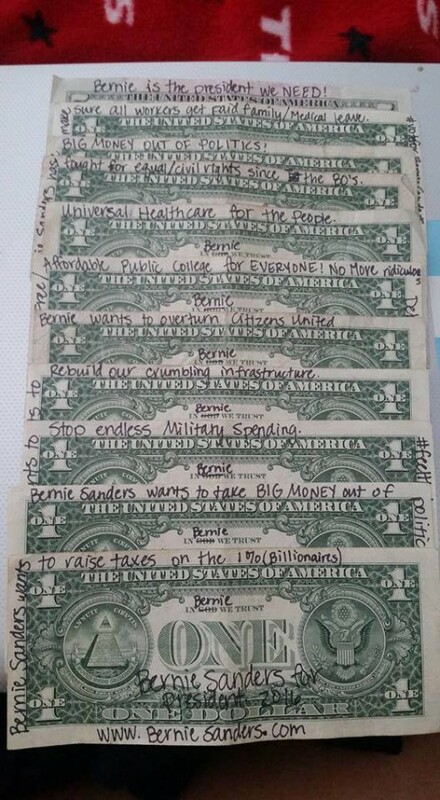 Every bill you spend passes through hundreds of hands so why not fix it to promote Bernie Sanders? I'll explain how to do this and about the legality of writing on bills. It's easy and doesn't cost you anything, just a little time. Probably you already have a Sharpie pen around the house and hopefully, you have some money too. Since you're going to spend that money on food or bills or other expenses, take the time to write messages on them first. I'll show some examples and give you plenty of short slogans to write on the dollars. 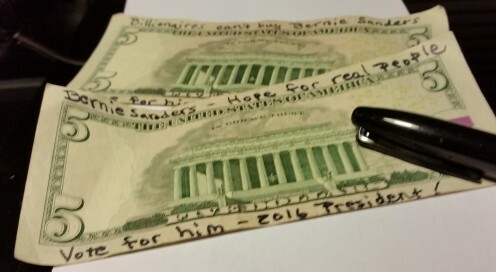 Let's get started making some Bernie Bucks. This is a great project for someone who can't afford to donate to the campaign. 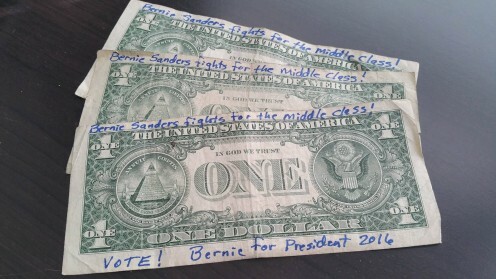 With Bernie Bucks, it takes the money you have and spends it in the normal ways. BUT you have turned it into a promotion for Bernie Sanders. The short answer is "yes." People write on money all the time. For example, when closing out a register in a store, they write notes on the stacks of bills to keep things straight. It is illegal to deface the denomination so that it becomes unreadable. This would be considered an attempt at counterfeiting. Advertising on currency is a separate issue. In 2004, a spokesperson for the U.S. Secret Service said they didn't have time to be bothering with it. The actual law can be seen online http://codes.lp.findlaw.com/uscode/18/I/17/333. The basic message is if the intent is to render the money unusable, then it is against the law. That's not a problem then. Ben and Jerry (ice cream guys) went through their lawyer to make sure. 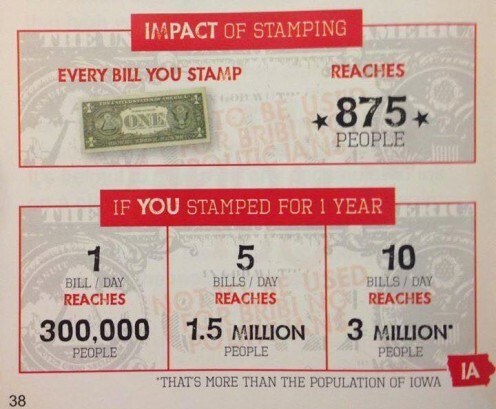 They have stamps for stamping money protesting Citizen United. As long as it doesn't degrade the value of the bill it is legal. You can get these made with whatever slogan you want. Office Depot and Staples can make these. Online, you can order special design stamps from a variety of places. 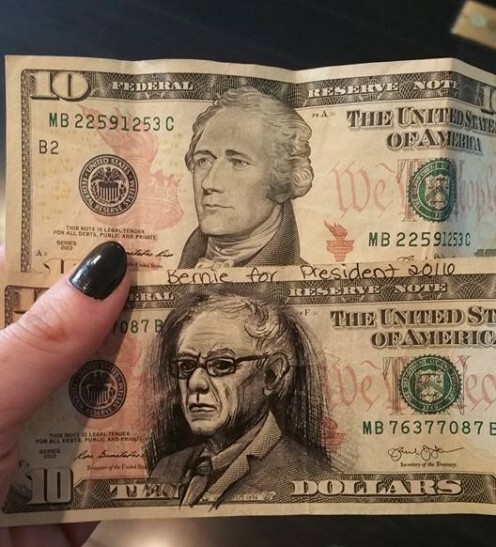 Some even have Bernie's face on it. Check on Etsy too. 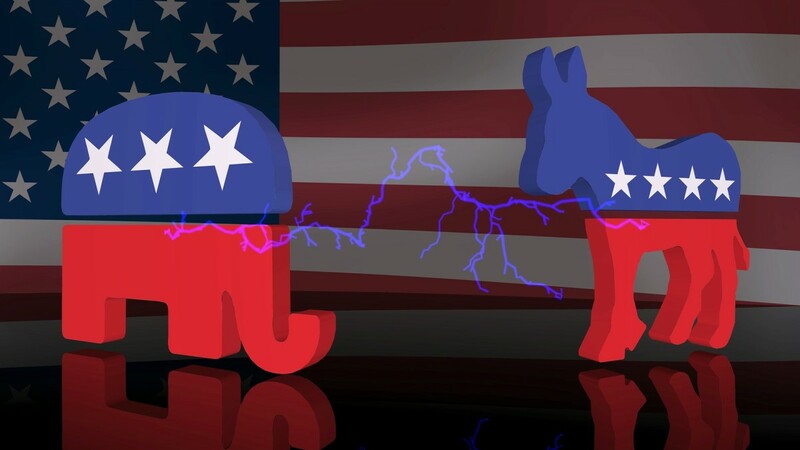 Political memes are shared freely around Facebook to support a candidate or to smear them. Bernie Sanders' supporters (and others) can correct misleading memes about their candidate with this method. Do not cover the serial number of the bill. 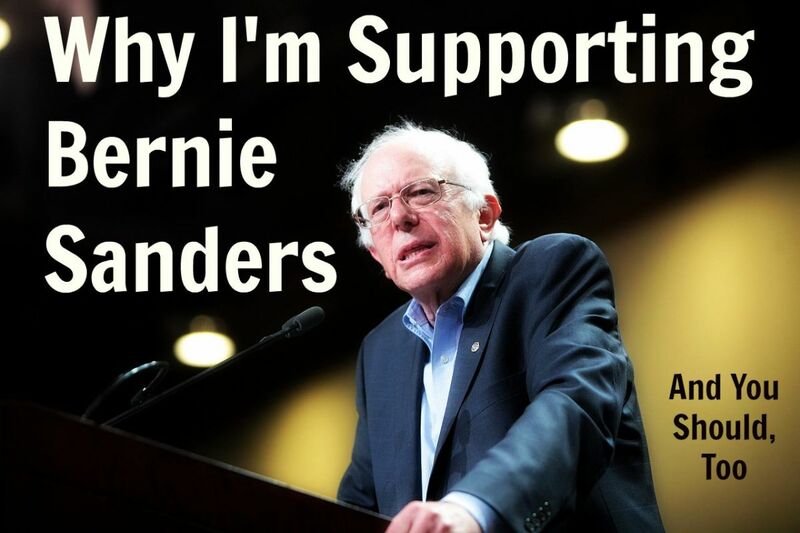 Virginia, Hill is beholden to Wall Street and Bernie lives in the pocket of Big Labor. It all spends the same, regardless of how you color it. nicomp - thanks for the explanation. 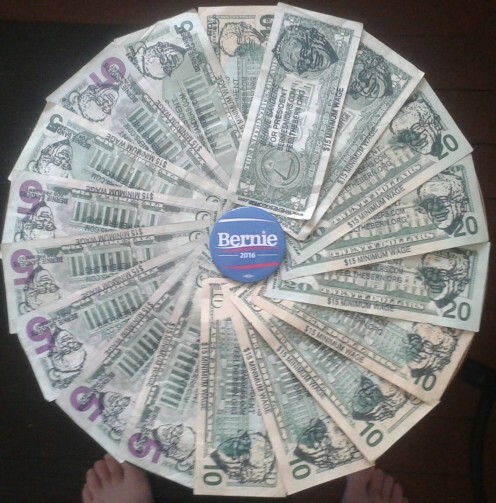 The dollars shown here aren't going to Bernie, they are being spent by Bernie's supporters on their normal expenses. I'm sure the hundreds of thousands that the banks are shoveling to Hi! !ary don't get passed around in the economy. The Wall Street people just skim it off from businesses and buy our Congress and they hope to buy a presidency for C!inton with it. No one bothers to decorate that money, I'm sure. Come on, Virginia! 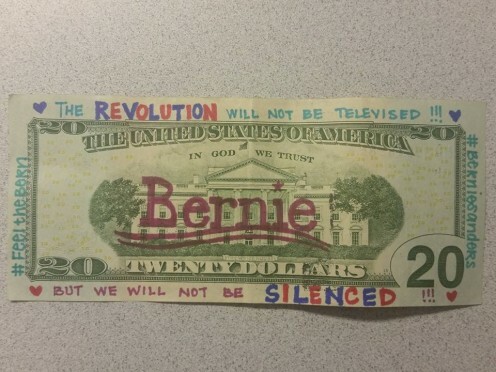 Bernie wants all your dollars and you want to color them! Massive irony. OK, nicomp, I'll bite. Explain the irony of the article. What a hoot. The irony of this article is lost on Progressives. Wow, what an interesting idea. 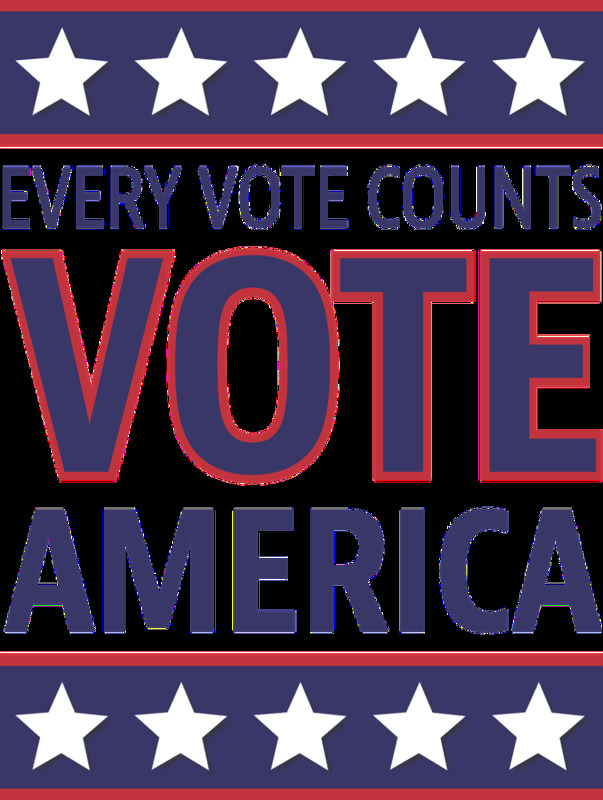 I suppose it could be used for any slogan or for any presidential candidate for those not interested in backing Bernie. I would have thought writing on paper currency would be illegal. Nice to know its not.